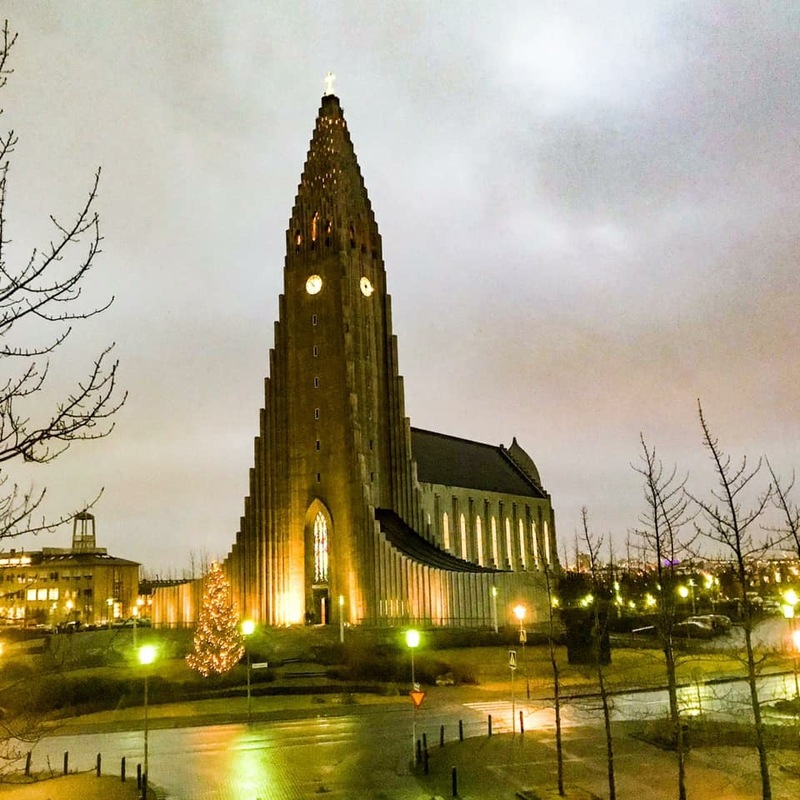 View of the Hallgrímskirkja from our HomeAway rental. 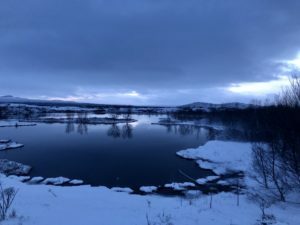 We visited Iceland for the second time in January 2019. Such an unusually beautiful country. 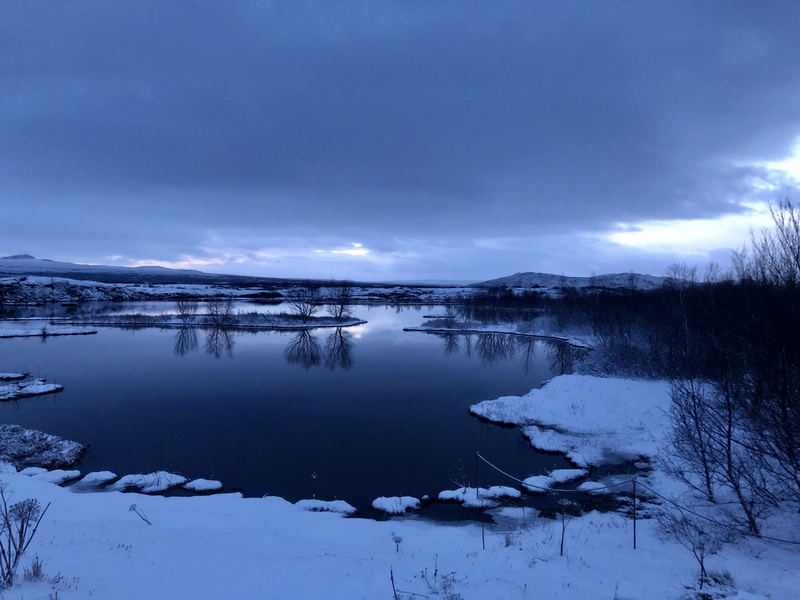 We made reykjavik our base of operations for a couple of day trips on the “Golden Circle” and out to Vik. This trip was a little colder than our first trip. There was much more snow on the ground in January vs late October. It was so nice for Greg and I to be able to show his mom the beauty of Iceland. 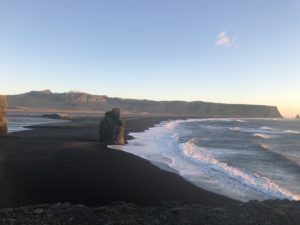 The very windy, black sand beach near the southern tip of Iceland is a must see part of the landscape. Dyrhólaey is a picturesque peninsula that juts out into the Atlantic Ocean. Puffins can be seen nesting in the rocks here in the summer, but unfortunately we didn’t see any when we visited. 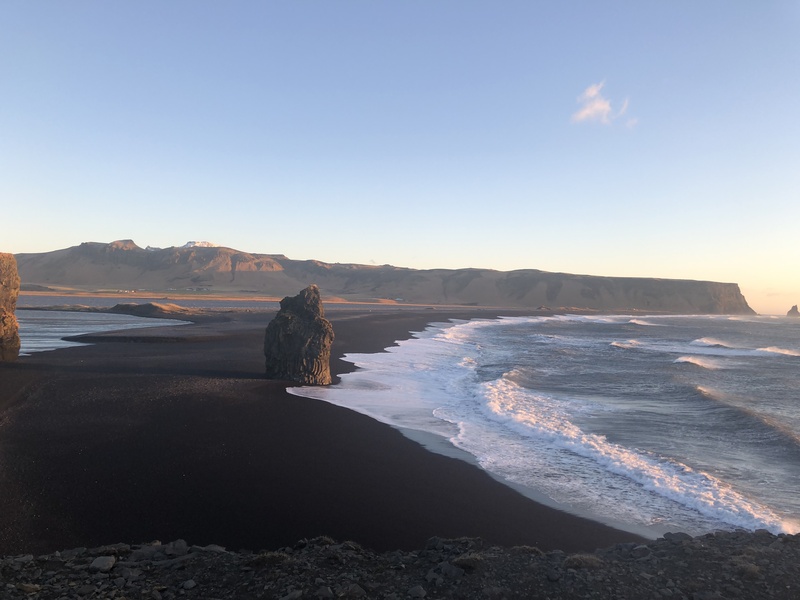 We were lucky to have clear skies to see the coastline and the black sand. The wind was quite strong that day and it was a struggle to walk out to the overlook. Braving the gusts to keep our feet beneath us was more work than I would like to admit.